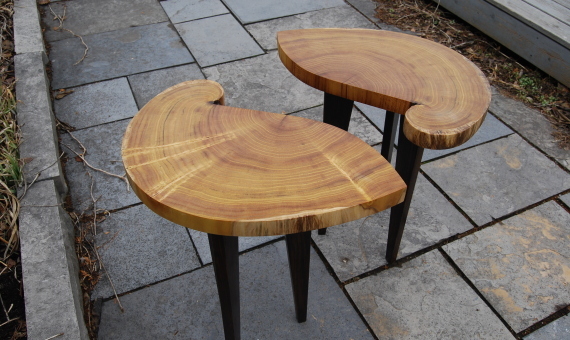 I am a Toronto-based furniture maker. I use traditional woodworking and joinery techniques which I apply to my work. I specialize in one-of-a-kind pieces and my work has, I think, a modern sensibility. Most of the work I do is commission based. I will sit down with the client, discuss their needs, map out a design, the cost and a timetable and then get to work. 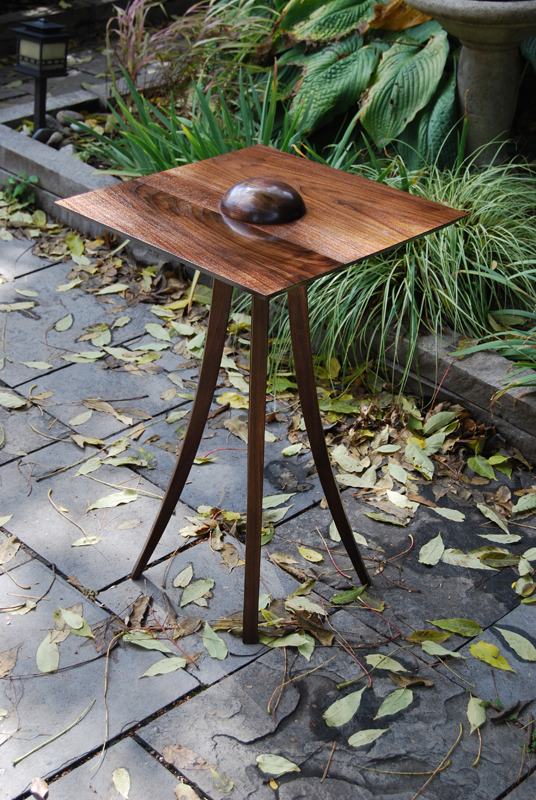 An elegant side table for a dining room. 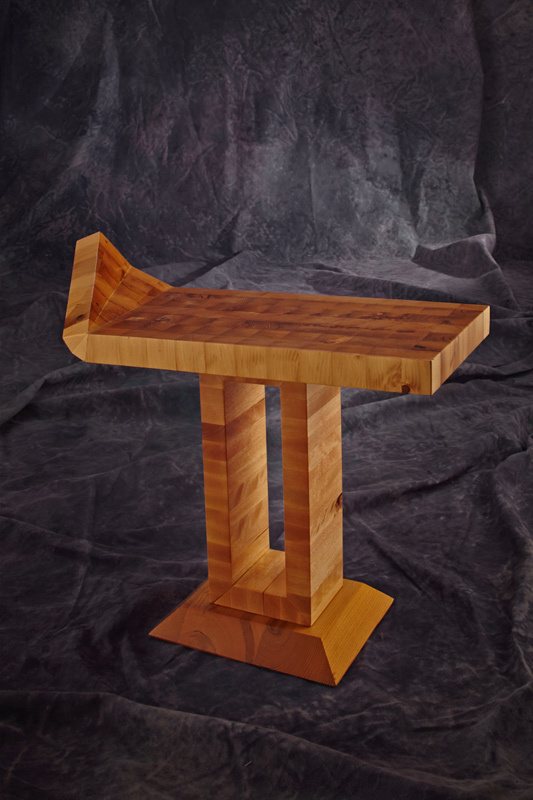 The top is red oak with a live edge which floats on a delicate walnut base. 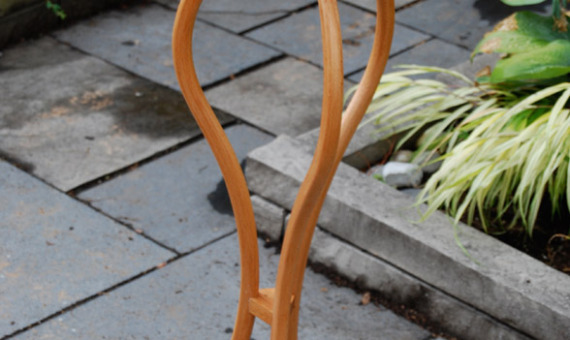 A decorative stand. 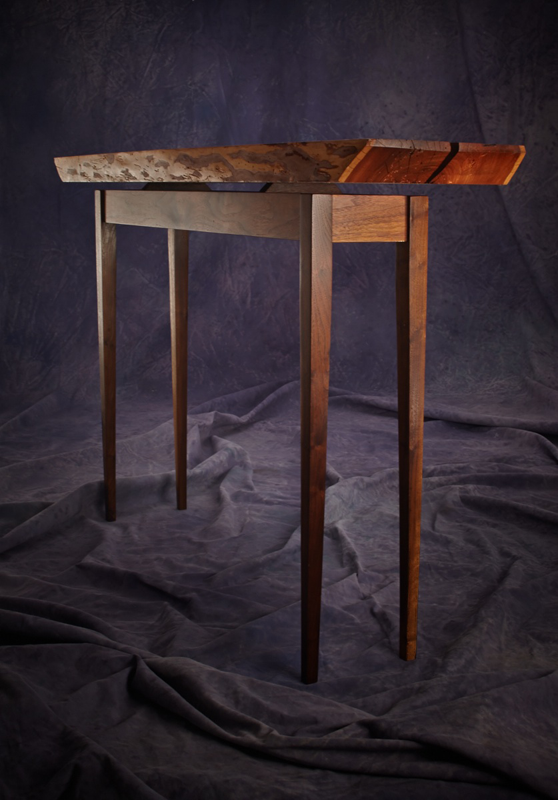 The top is a polished maple burl suspended over a cherry base with curving legs. 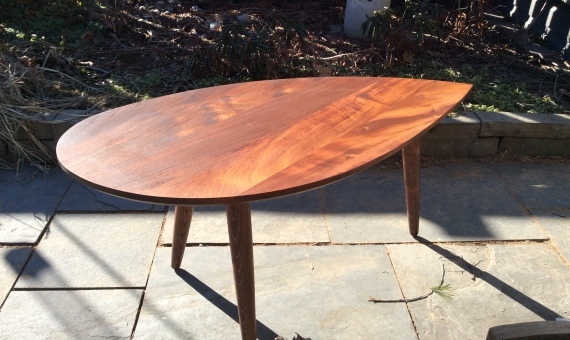 Coffee table made from the Brazilian hardwood ipe. 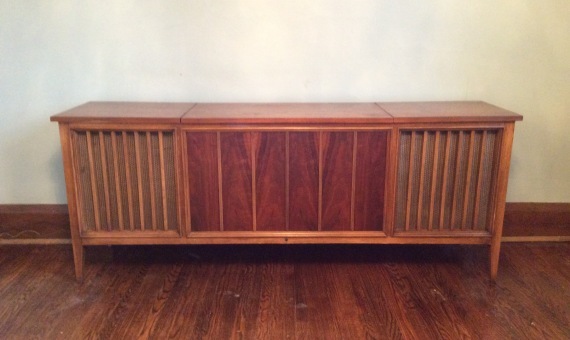 Refinishing job on a 1960’s Zenith stereo console. 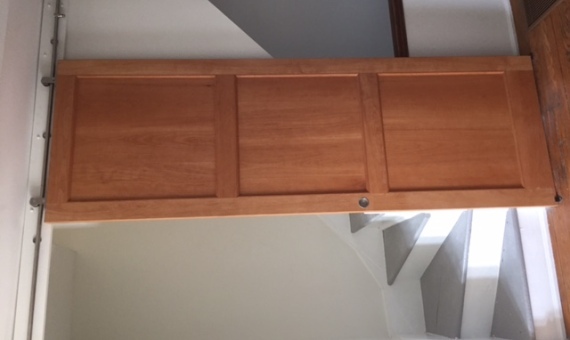 Sliding door made from beech. 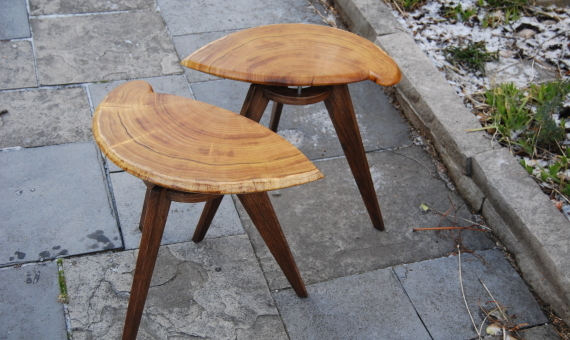 Side table made from nogal and beech. 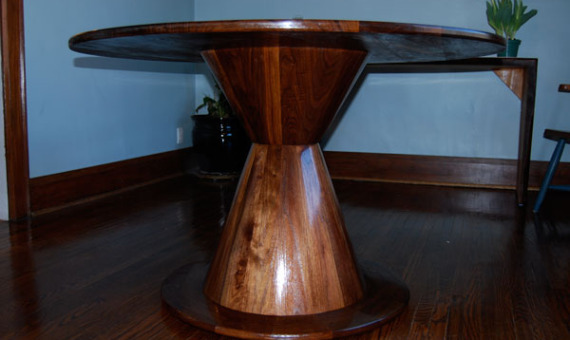 Made from quarter sawn walnut. 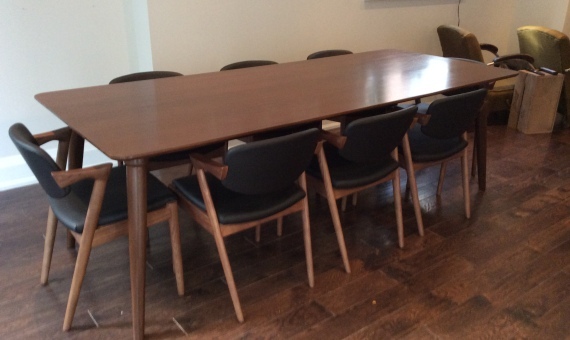 An eight foot long dining room table made from nogal a Brazilian hardwood. 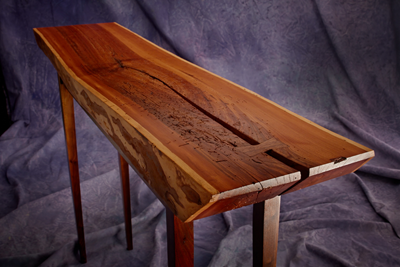 A side table made from reclaimed barn board and madrone burl. 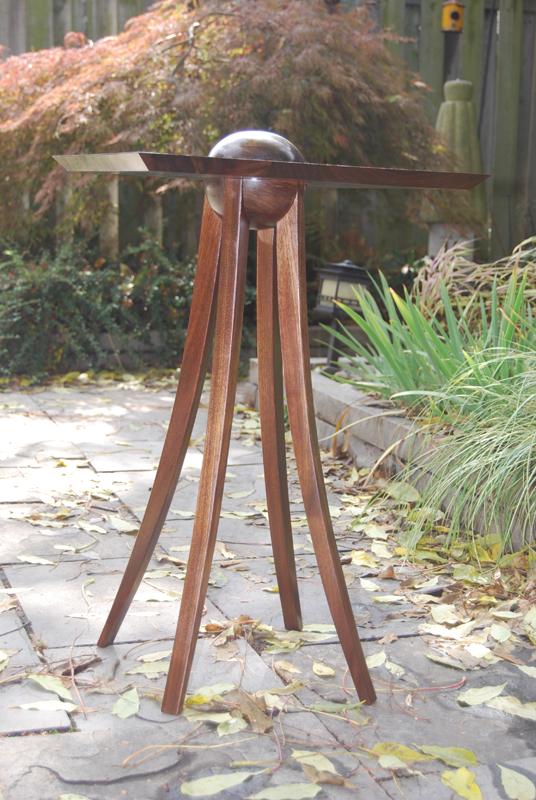 Hall table made from African mahogany. Case “floats” on the base and a turned bowl is incorporated into the top. 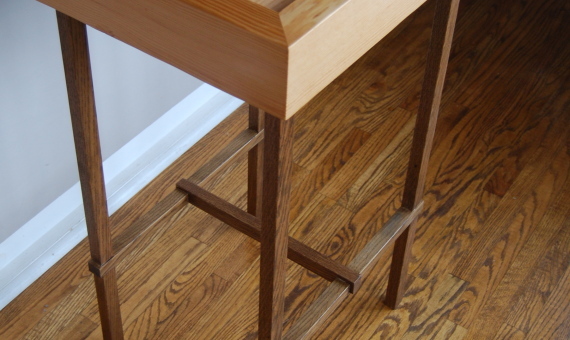 Hall table is made from fir and white oak. The top has a dished out area for keys. 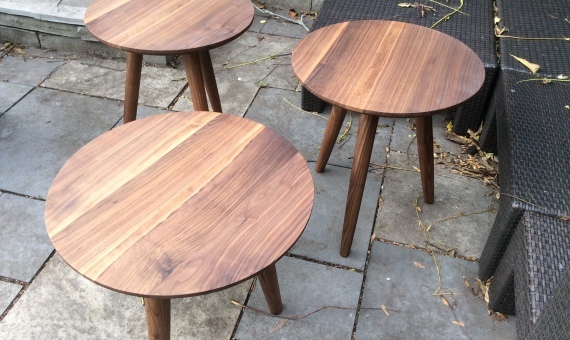 Another version – tabletop is mulberry and legs are white oak. 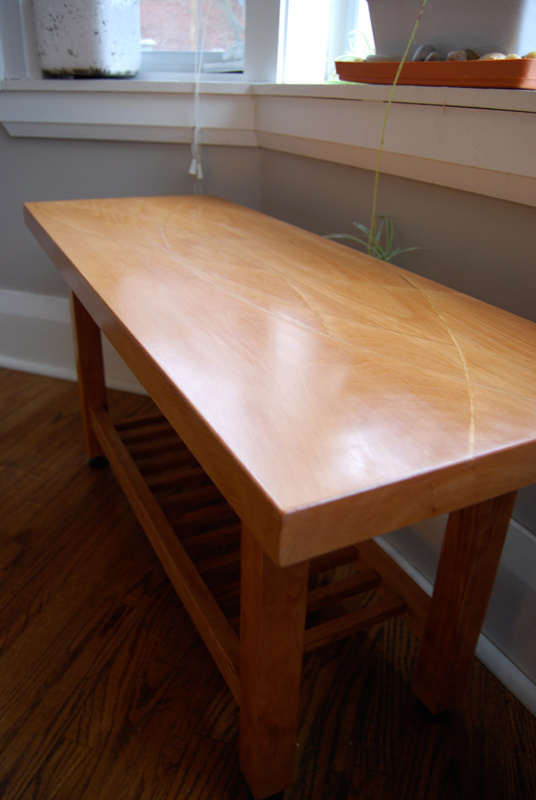 Tabletop is mulberry and legs are white oak. 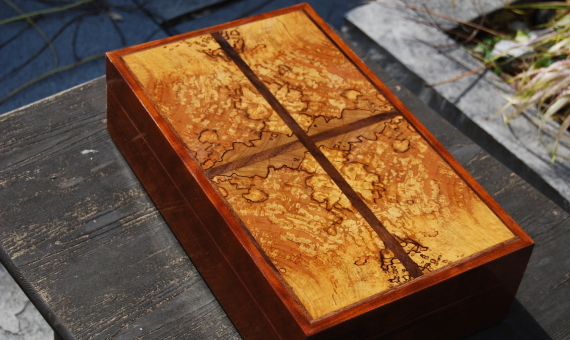 Jewellery box made from tropical hardwoods and lined with aromatic cedar. A shoe shelf made from beech. 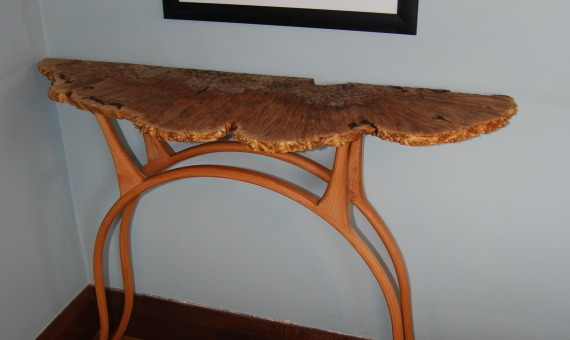 Display stand with a maple burl top and bent lamination legs made from beech. 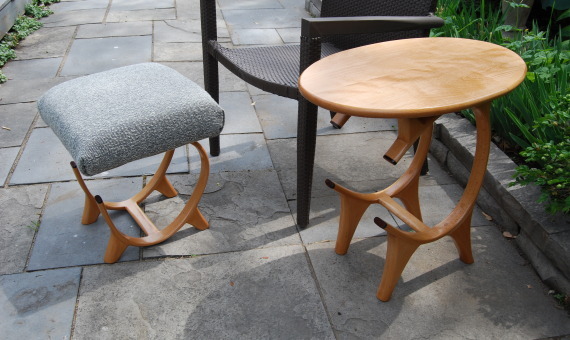 Side table and matching foot stool. 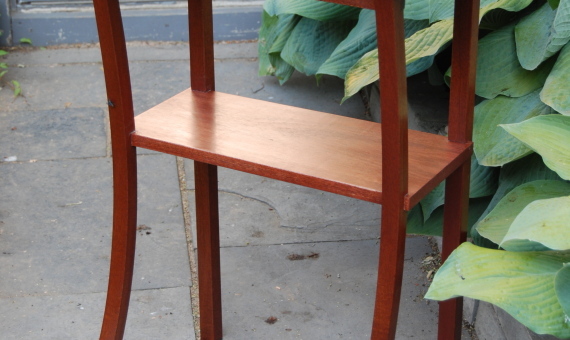 The wood is beech and the legs are bent lamination capped in rosewood. Cabinet made from white ash. 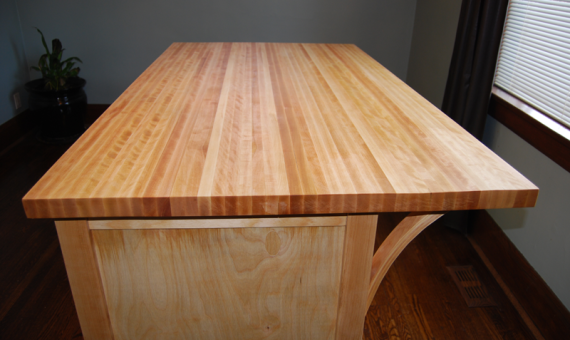 A kitchen countertop made from European beech. 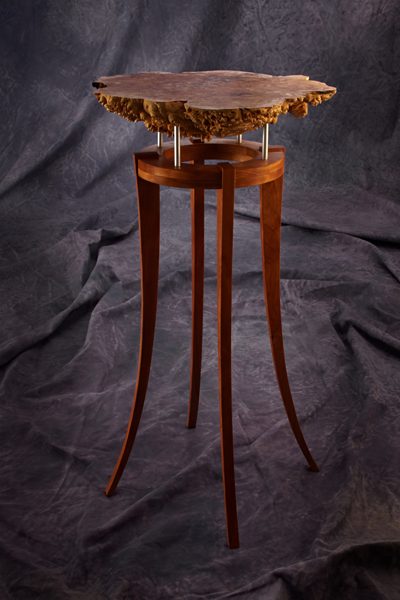 A delicate side table with a maple burl top. 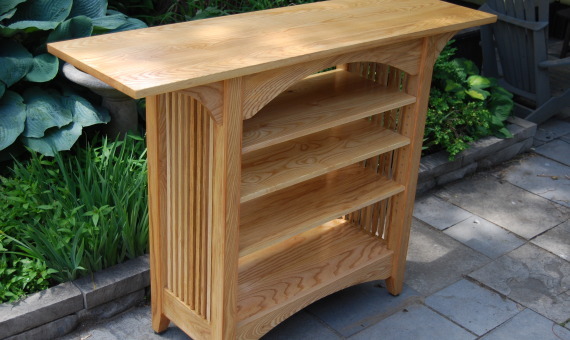 A TV cabinet made from cherry with curving legs and bowed sides. 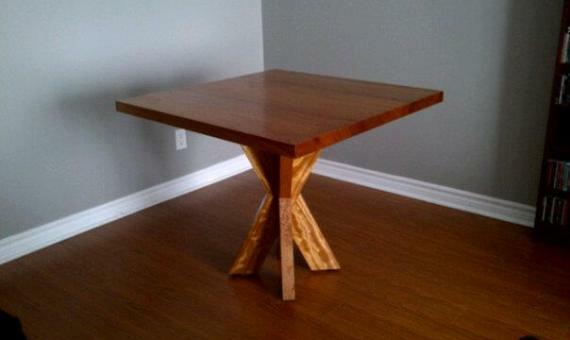 Kitchen table made from cherry. Front hall bench made from beech with cherry inlay. 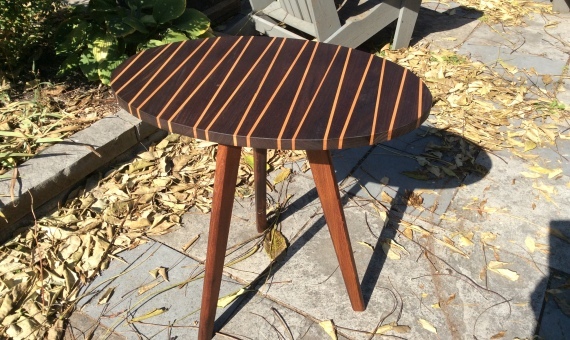 Side table in a butcher’s block design from reclaimed wood. 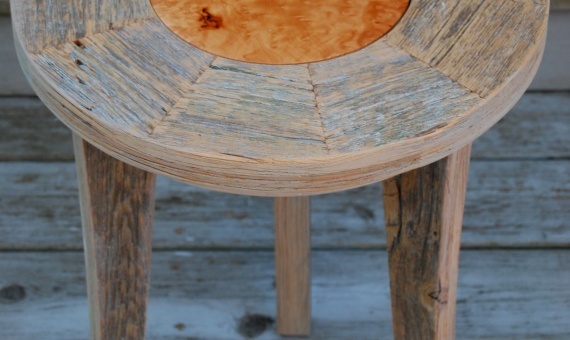 Oval bench made from a single length of reclaimed wood. 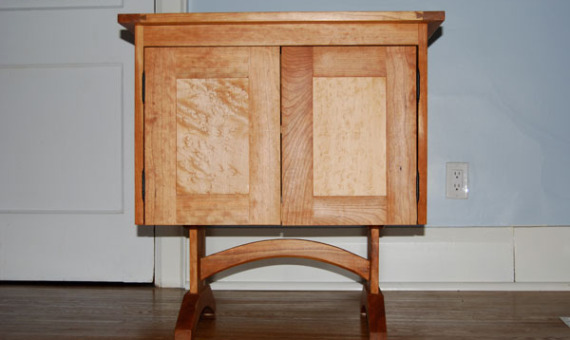 Front hall cabinet made from cherry and birds eye maple. 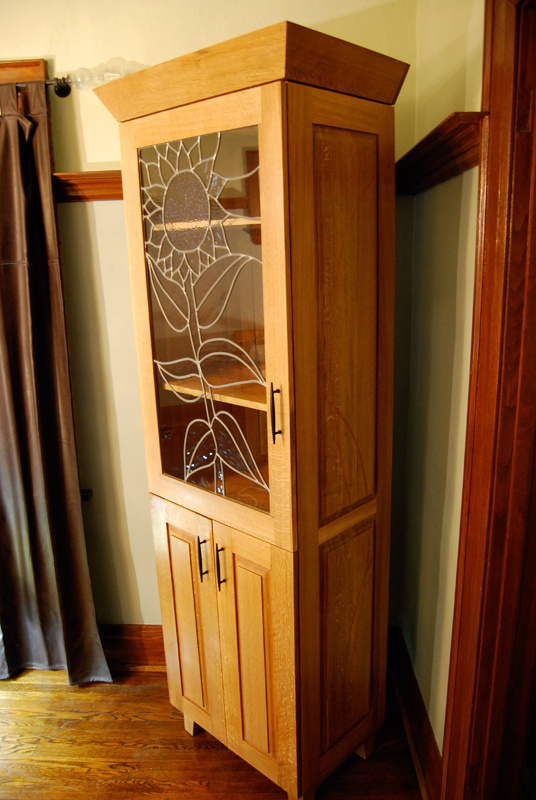 Tall cabinet made from quarter sawn oak with mahogany inlay and a leaded glass door. 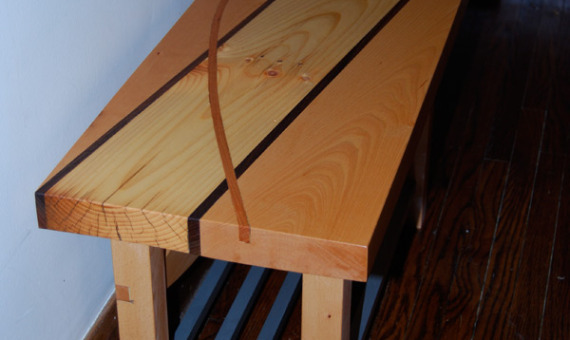 A buffet table made from reclaimed hemlock. 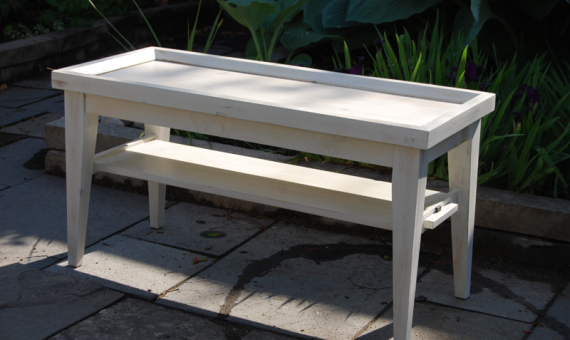 A simple coffee table made from reclaimed wood and finished with a white milk paint. 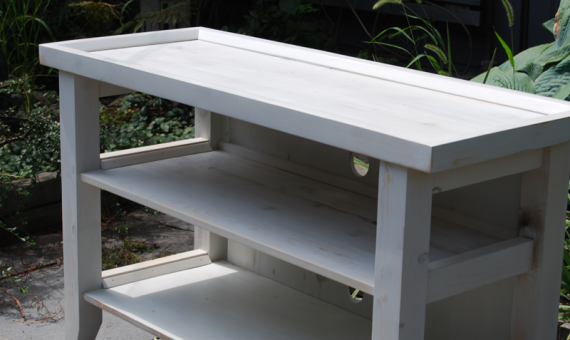 A TV and entertainment cabinet made from reclaimed wood and finished with a white milk paint. 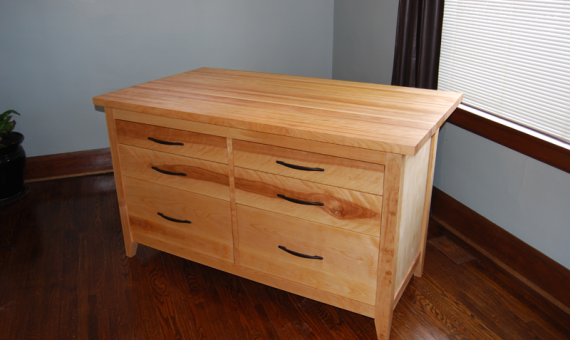 A kitchen island made from birch. 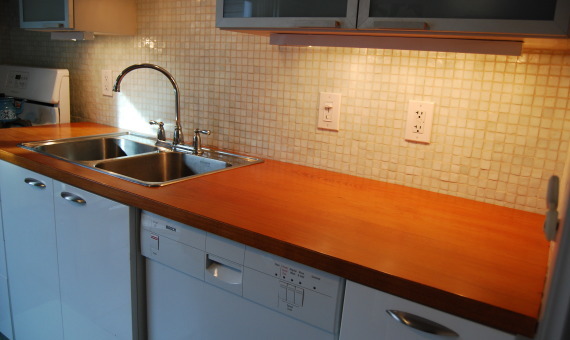 The top is laminated with an overhang to serve as a breakfast bar. 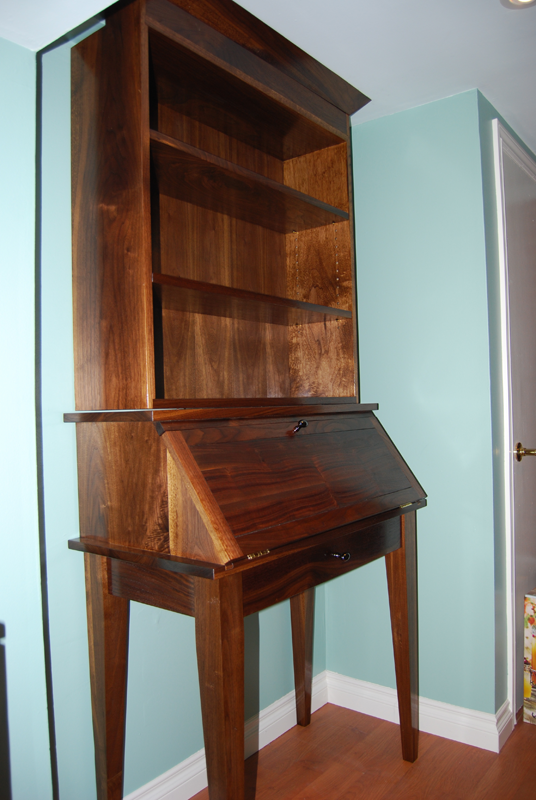 A bookcase desk made from solid walnut. The desk is a drop front design. 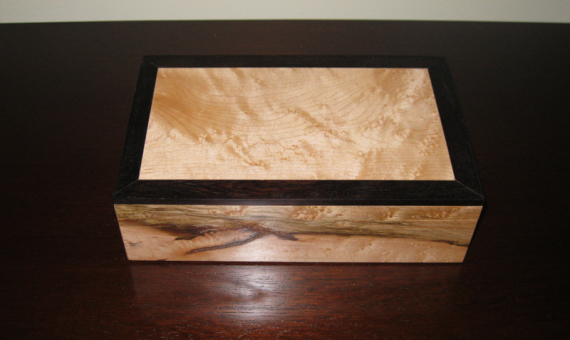 Jewellery box made from birds eye maple and African blackwood. 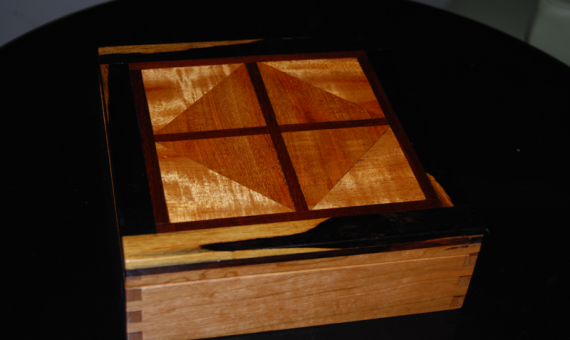 Jewellery box made from mahogany, African blackwood and cherry. 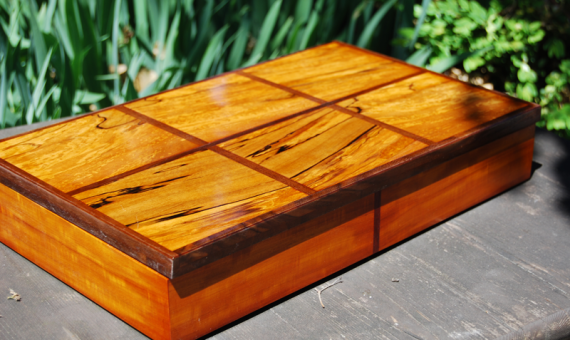 Jewellery box made from various tropical hardwoods. 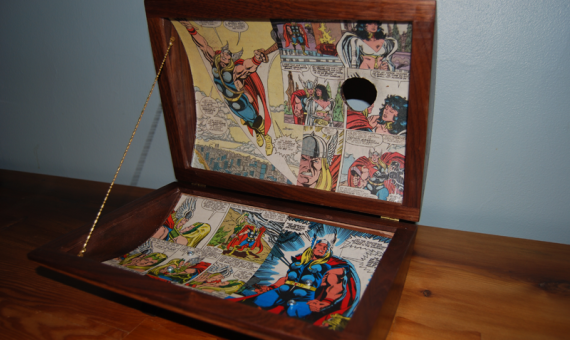 Jewellery box made from bent walnut with comics decoupaged on the inside. Display stand. 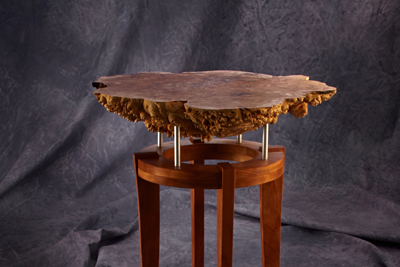 The top is polished maple burl suspended over a cherry base with curving legs. 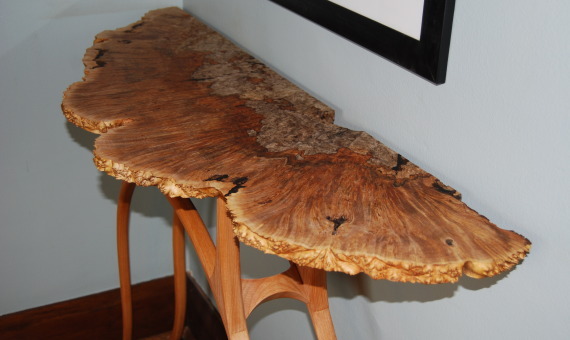 A walnut dining table with a live edge. Front hall bench made from beech and hemlock with walnut and mahogany inlay. 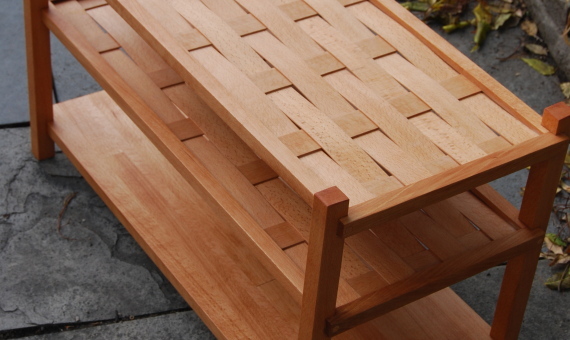 Crazy bench assembled from hundreds of small blocks of hardwood – birch, walnut, cherry and maple. 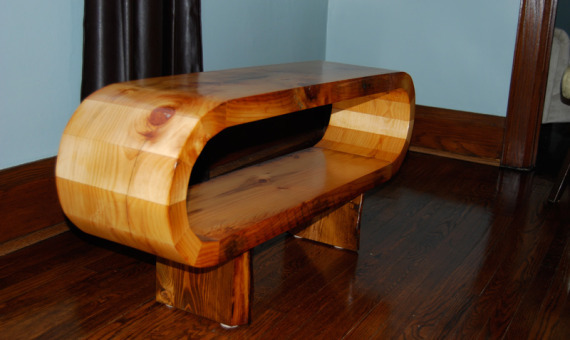 It could also serve as a stereo cabinet or a TV stand. 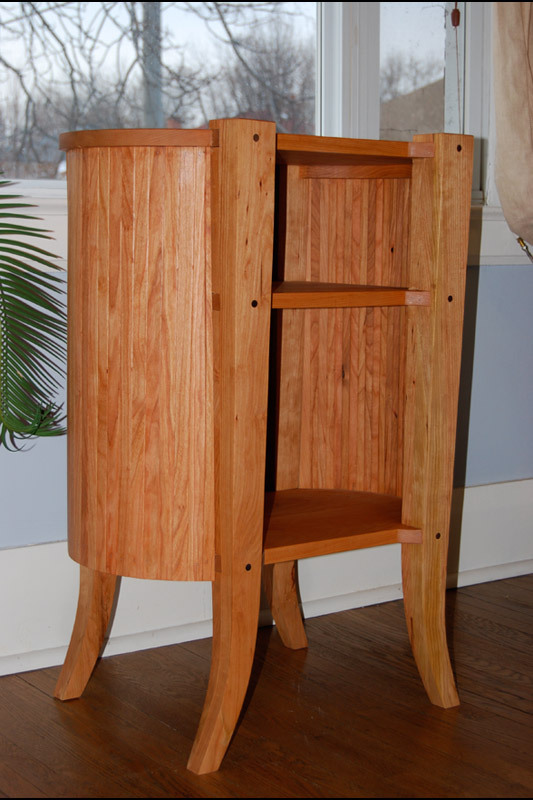 Small cabinet made from cherry and birds eye maple. 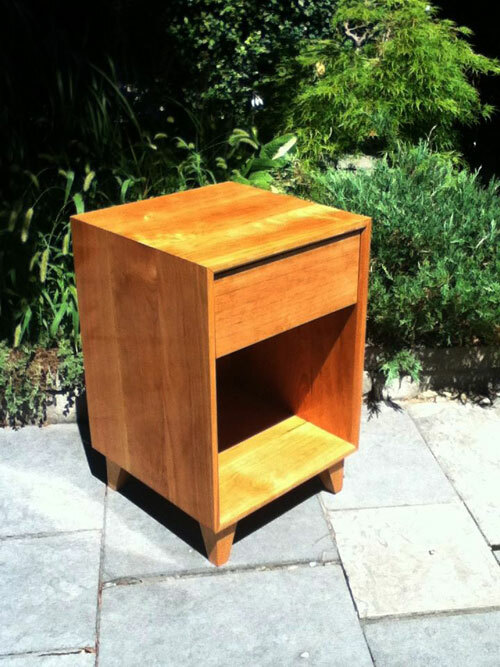 Bedside cabinet made from cherry. 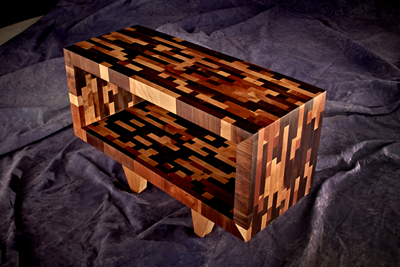 Coffee table made from hundreds of small blocks of hardwood – walnut, cherry, birch and oak. 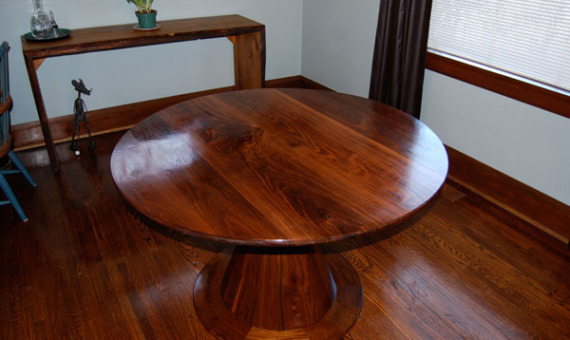 Walnut dining table. A round tabletop mounted on two truncated cones. 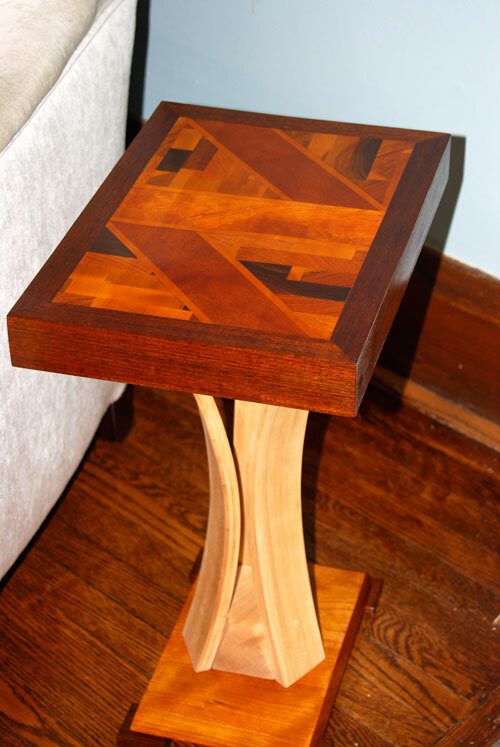 Side table made from various hardwoods. 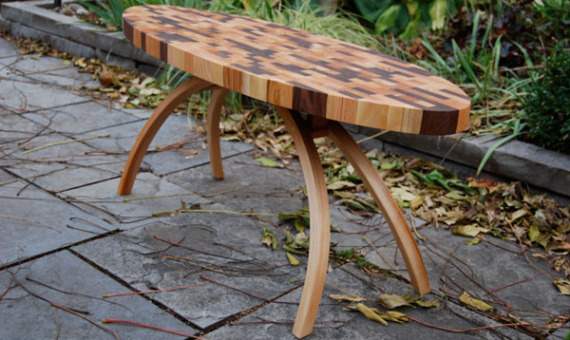 Harvest-style kitchen table made from beech. 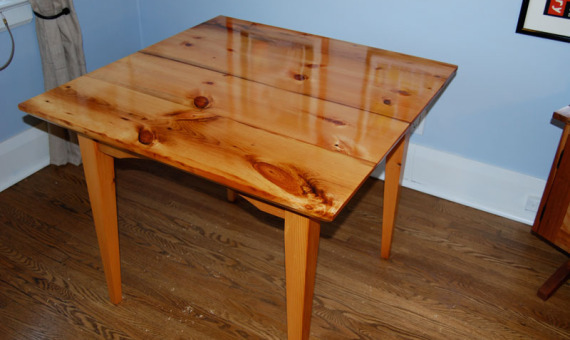 Kitchen table made from reclaimed wood. I asked Rob to make me a dining room table and to build it anyway he wanted, with me and my space in mind. 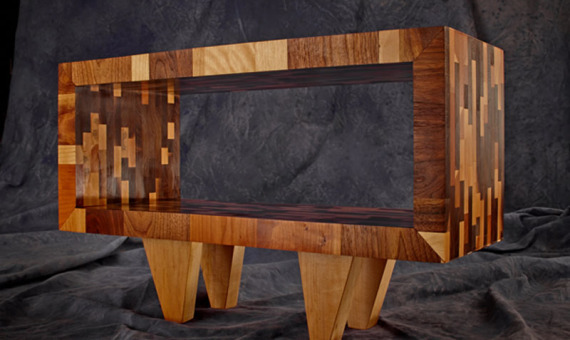 He came back with a stunning, one-of-a-kind, solid walnut, art piece. I love the table and it gets rave reviews from everyone who visits. 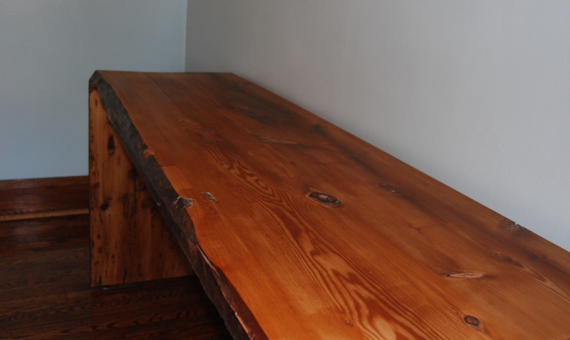 After months of searching for a wooden harvest table for our newly renovated kitchen alcove, we found Rob. He met with us and we discussed what we needed with Rob making suggestions of the type of wood and colour he would use. 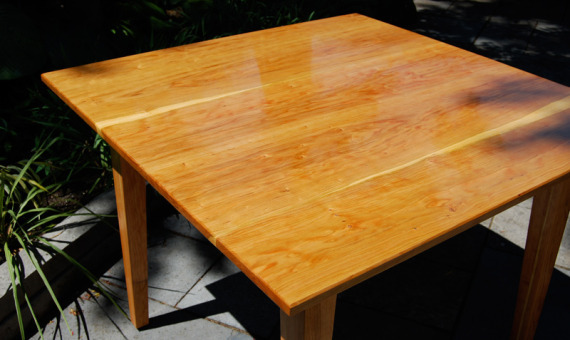 Rob made for us a beautiful European beech table which, after a year’s use and abuse from young grandchildren, is still as good as new. 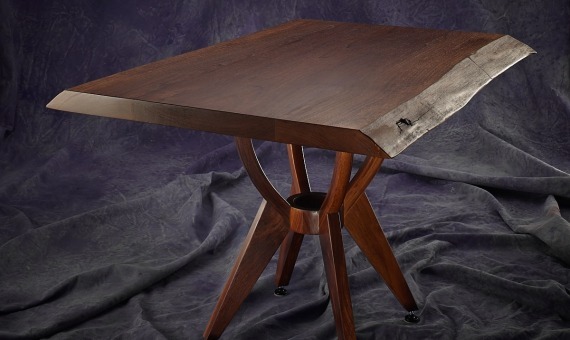 The table receives favourable comments from all who see it. 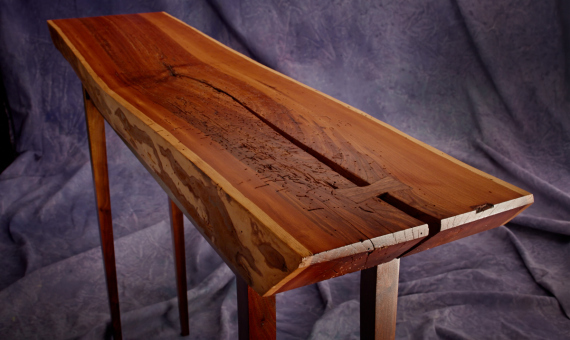 Rob…thank you so much for making me such a beautiful cherry and European beech bench. It looks great in my hall (perfect for sitting and taking off boots and shoes). I admit that I didn’t put anything on it for the first few months…I just wanted to admire it. I like the contrasting wood tones. The barely perceptible inlay is brilliant too. The curved lines look like fish – I’m a Pisces, (and a priest) so it works on all levels. Thank you. 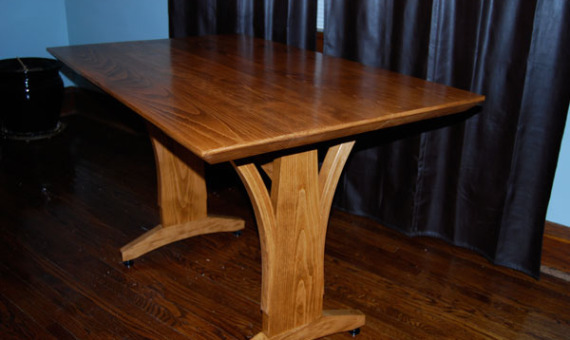 I’m thrilled with the mahogany dining table that Rob built for me. Rob did all the necessary background research and design work to ensure he could build it to my specifications. He is incredibly thorough and takes time to ensure the highest quality of work. I have been fortunate enough to work with Rob a couple of times now, on pieces for both my home (he designed my dining room table) and for my latest play Prince Charming: Missing Person (where he was our Set Designer). He listens well, offers fantastic ideas to make your item better and delivers the product on budget and on time. Best of all, everything he’s created for me looks amazing and I get fantastic compliments from friends when they come over for dinner and sit at my custom made dining room table. We commissioned Rob for two pieces of furniture for our media room renovation. Since I lack any artistic skills, Rob was great at designing the items that I had in mind and executed them brilliantly. 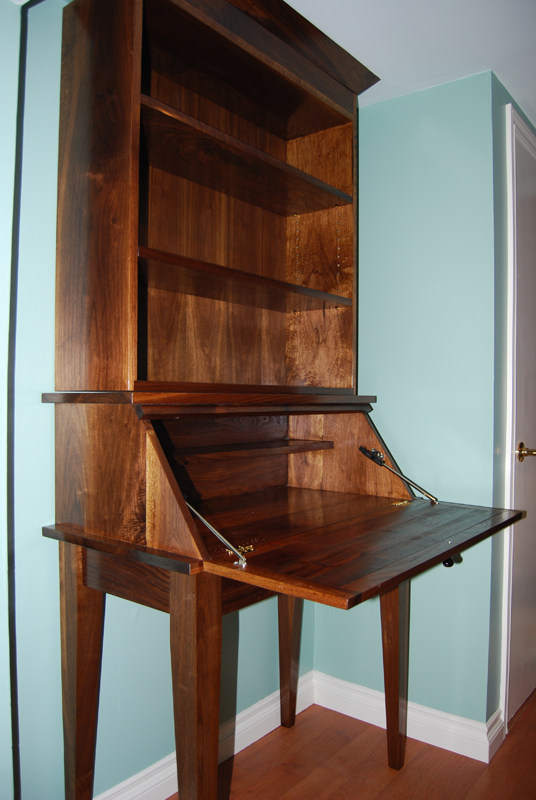 We love the choice of the walnut wood he helped us pick, the creativeness of our hutch and bookcase desk, and the beauty of his workmanship. My husband wants him to work on another piece soon, so we have him in mind when we renovate shortly. 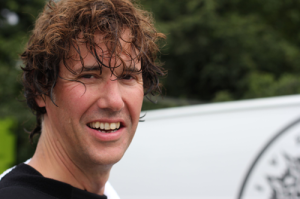 Thank you Rob for your amazing work. 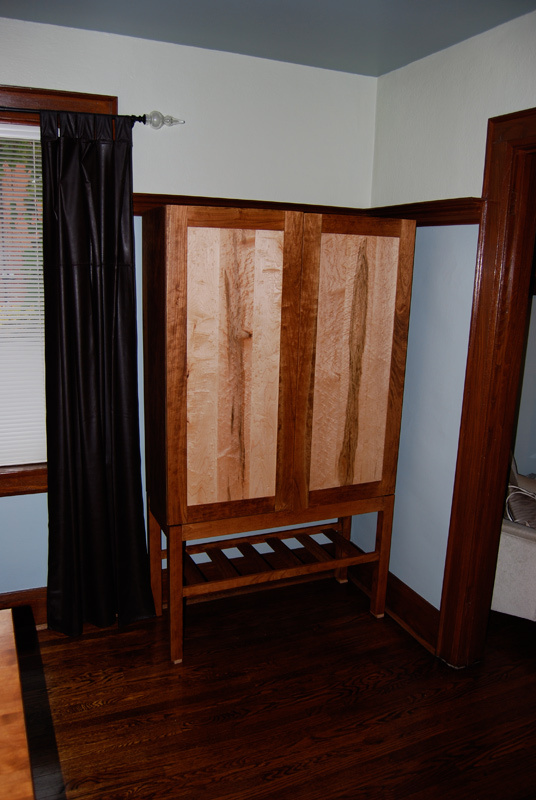 Rob made a beautiful accent cabinet in cherry wood and a very unique multi-functional bench/shelf/storage unit in hemlock for me. The pieces are well-designed and well-crafted and continue to age beautifully. I will enjoy these gorgeous pieces of furniture for many years to come. Rob’s a craftsman, a designer, an artist. 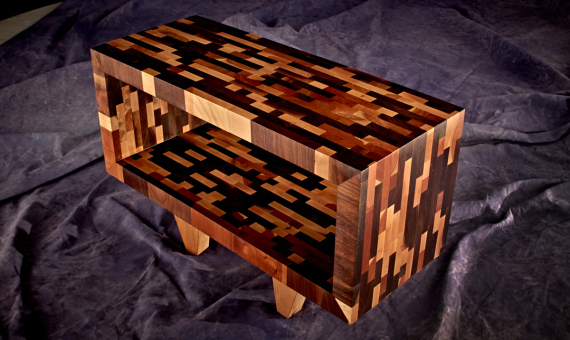 Whether you know what you want or don’t, if it’s in wood, Rob will make you something beautiful and unique.